What’s important to you? What energizes you? Whether you’re thinking of retiring early or you don't have a choice, a financial planner can help you fill in the blanks. Beyond the financial side of things, only you can know when you’re ready to leave the workforce. A financial planner can help you fine-tune your vision for the future. 1.Retirement is More Than a Vacation. 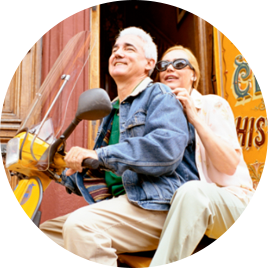 When asked about retirement, many people say they want to travel. But do you want to travel 365 days out of every year? Think about the day-to-day and ask yourself what will keep you energized. 71% of retirees1 are simply taking time for themselves in retirement (while most pre-retirees expect to travel). 2.What Gets You Out of Bed in the Morning? By answering this question and prioritizing what’s important, you can make better decisions about how and when to enter retirement. While moving to a smaller town or sunny destination upon retirement may sound appealing, you might wind up coming back if you miss your friends and family. Think about your priorities before making a move. 4.Retirement Changes Over the Years. Retirement typically has three stages, each with different spending needs. There is the first stage, which is more active (and more expensive! ), followed by middle retirement, which is more settled, and later retirement, when more healthcare expenses may come into play. Think about each stage as you plan. See how RBC helped James and Mary live the retirement they always pictured. Did you Know There are 3 Stages of Retirement? 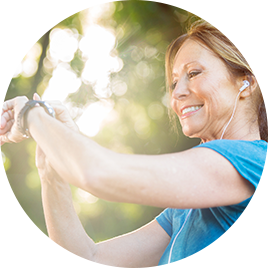 See why the need for financial planning doesn't end once you're retired. Save for Retirement or the Kids’ Education?